Heavy rare earths (HREEs) are important for a wide range of high tech and energy applications. For example, dysprosium is used for permanent magnets, europium for phosphors and fuel cells, terbium for phosphors and permanent magnets, and yttrium for red phosphor, fluorescent lamps, ceramics, and metal alloys. 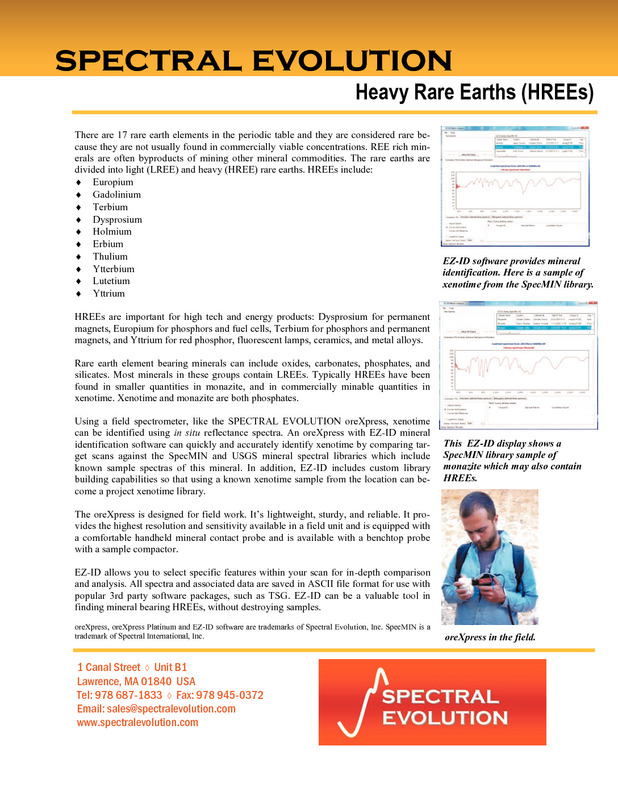 Rare earth bearing minerals for HREEs can include monazite and xenotime – two minerals that can be found in the spectral libraries available with the oreXpress and EZ-ID. They are both phosphate minerals. Xenotime is usually found in acidic and alkaline rocks and occasionally in mica schists and quartz gneisses. Monazite is associated with high specific gravity minerals such as ilmenite, magnetite, rutile, and zircon. Production of HREEs is tied to the production of principal products where HREEs are a byproduct. Exploration and mining of HREEs is usually unresponsive to market demand for byproducts, contributing to the lack of available HREEs. 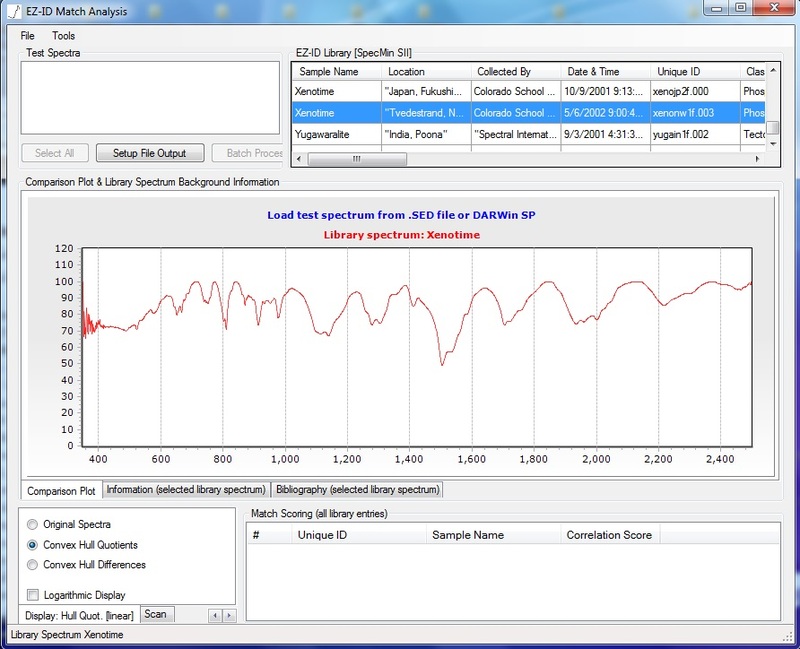 The oreXpress spectrometer, and EZ-ID mineral identification software, are well-suited for exploration geologists looking for all types of HREE deposits. A known sample of monazite from EZ-ID. EZ-ID will match your taget scan against library samples like this. A known sample of xenotime from EZ-ID.